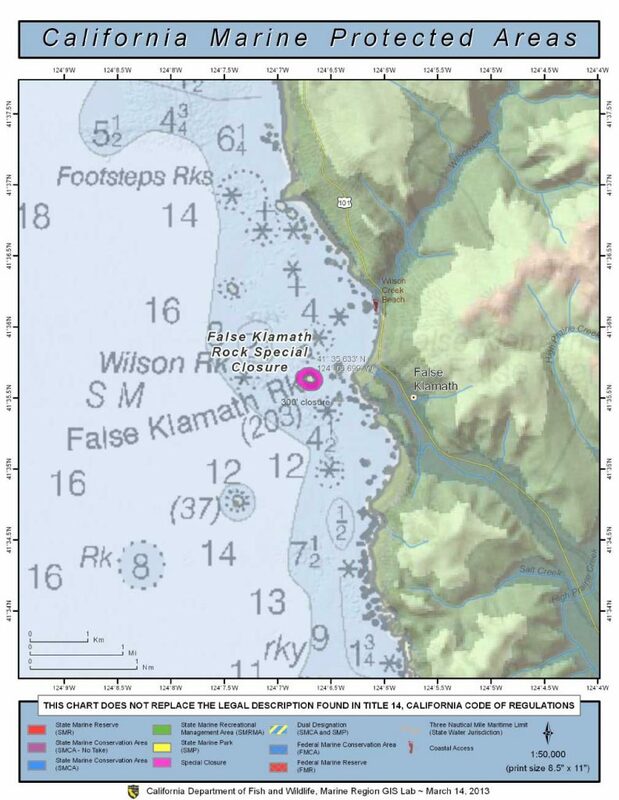 From the mean high tide line to a distance of 300 feet seaward of the mean lower low tide line of any shoreline of False Klamath Rock, located in the vicinity of 41° 35.633′ N. lat. 124° 06.699′ W. long during the period of March 1 to August 31. 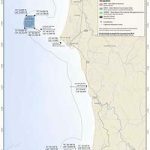 Except as permitted by federal law or emergency caused by hazardous weather, no vessel shall be operated or anchored from the mean high tide line to a distance of 300 feet seaward of the mean lower low tide line of any shoreline of False Klamath Rock during the period of March 1 to August 31..
No person shall enter the area, except for agencies identified in Title 14 Section 632 CCR, when performing their official duties.